The theme of this year’s Analytics Exchange is gender diversity in the field of Data Science. We will focus on how women are breaking barriers and making remarkable contributions in a field traditionally dominated by men. Some of the topics covered will be: work/family life balance, entrepreneurship, and the unique challenges faced when it comes to the hiring process and participating in the workforce. Join us to hear from industry leaders, experts, and academic faculty about how gender diversity and inclusion are positively impacting the fields of Data Science and AI. Please check back soon for updated information on this event. 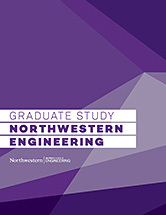 Northwestern University's Master of Science in Analytics program hosts the Analytics Exchange each year to gather leaders and practitioners from across the industry for discussion exploring the underlying data engineering, data science, artificial intelligence, and the business of analytics. Held at Northwestern’s Downtown Chicago campus, registration for this free conference is by invitation only. Please email us at analytics@northwestern.edu for details on how to receive an invitation!